Springtime is in full bloom and, along with my gardening, I'm inspired to write a blog on garden walls and hardscapes. 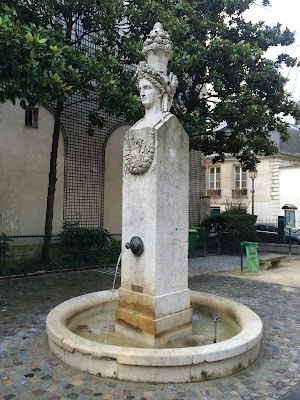 There's no better place in the world (in my opinion) to find the best gardens and hardscapes than in Paris, which has more than 400 city parks that are brimming with public sculpture, fountains, urns, terraces, planters, benches, follies and pergolas. 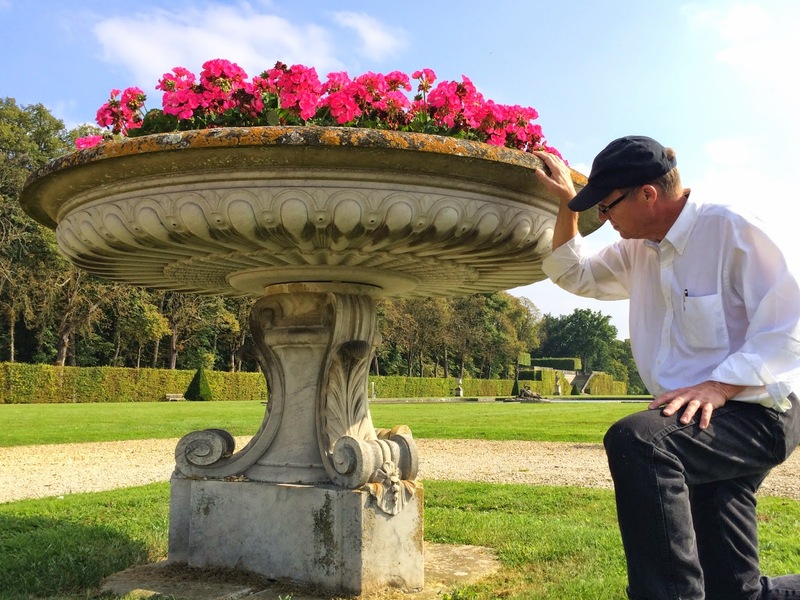 Many, if not most of these outdoor fixtures are hundreds of years old and have stood the test of time against all manner of elements and extreme weather conditions because they are made of limestone. Most homeowners, and those looking to build, can only dream of incorporating stone structures into their landscaping plans. Even if carved limestone is in your budget for your own home, importing stone and commissioning a ready team of artisans and stone masons to hand sculpt and install a grand entryway, courtyard, garden walls or other hardscapes may be more than you want to invest in both time and money. The DAC-ART "concrete stone" building system, created by home designer and artist Ted Dial, is the perfect solution for homeowners and businesses looking for a more cost-effective alternative that will help them achieve the same old-world elegance of Paris for their own entrances, garden walls and other hardscapes. Ted has spent more than 30 years intensely studying the art and architecture of Paris and other great European cities that are steeped in history and flush with some of the world's best examples of great stone masonry buildings. 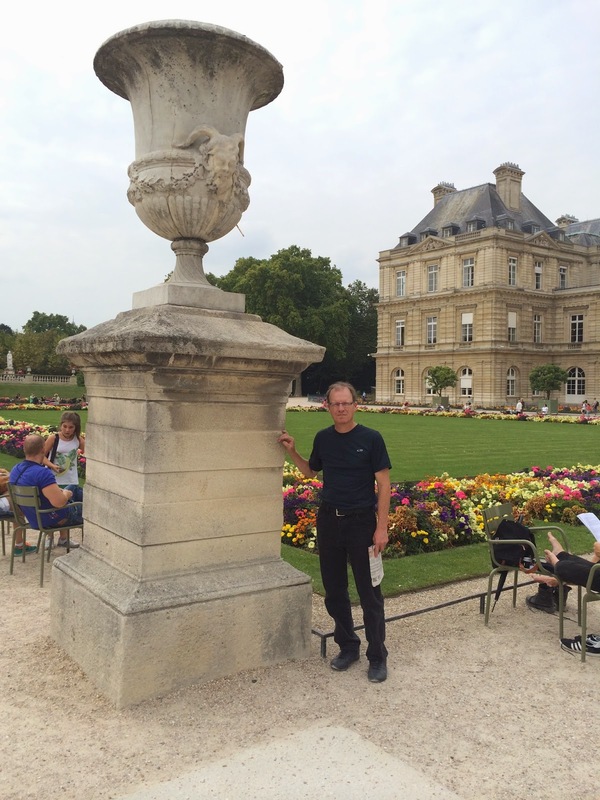 In the photo on the right, taken recently at le Jardin du Luxembourg in Paris, Ted stands near an urn-topped pedestal that marks a corner of this magnificent garden. Note the grand scale of the piece. 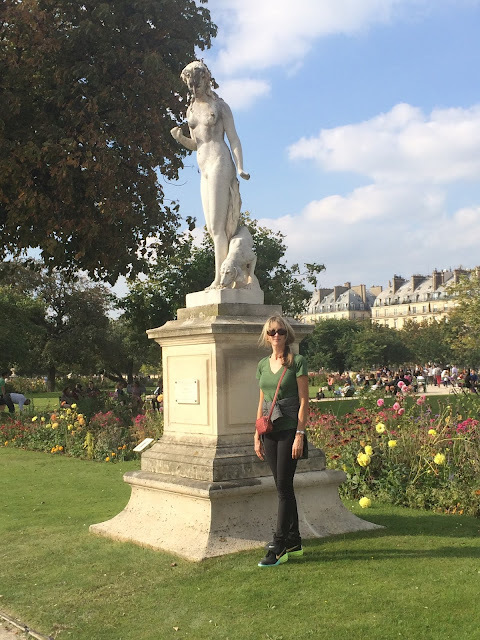 This is one of many large urns flanking this famous public garden. 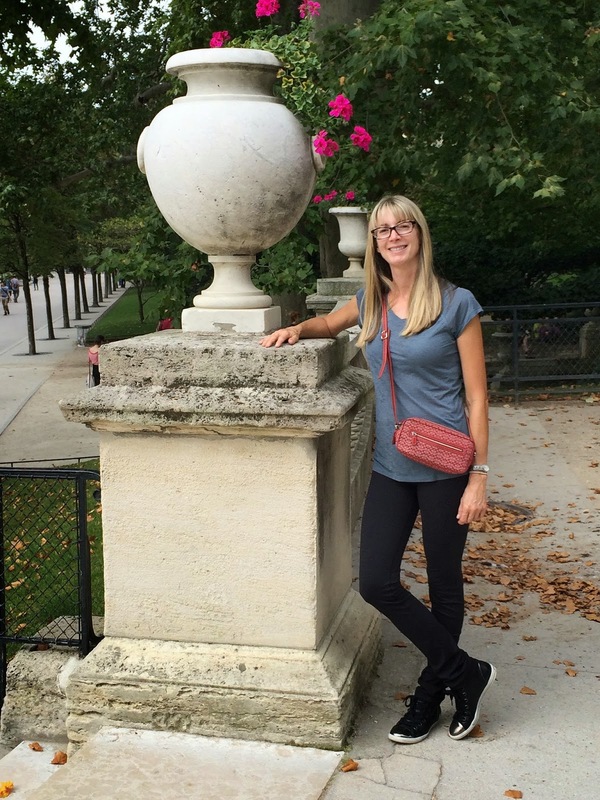 Monolithic urns are commonly seen in a variety of public and private outdoor spaces, such as gardens, parks, and estate entrances. Ted has used the urns of Paris as inspiration for his own DAC-ART urns, which he designed integrating the same sense of proper proportion, elegant lines and profiles. The DAC-ART "concrete stone" looks identical to the authentic French limestone that was used to make the wonderful urns at le Jardin du Luxembourg. 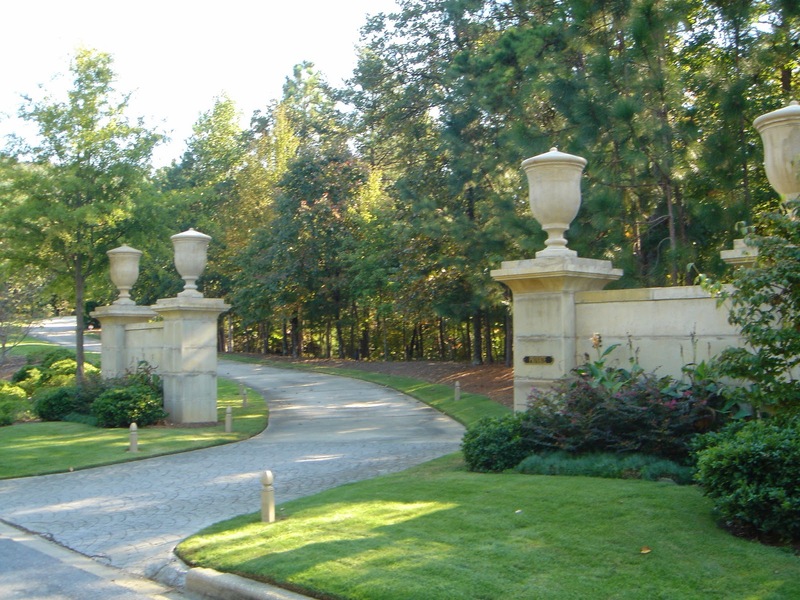 The monolithic urns flanking the entrance to this private residence in Birmingham, Ala., (left) were designed by Ted and created using DAC-ART "concrete stone." 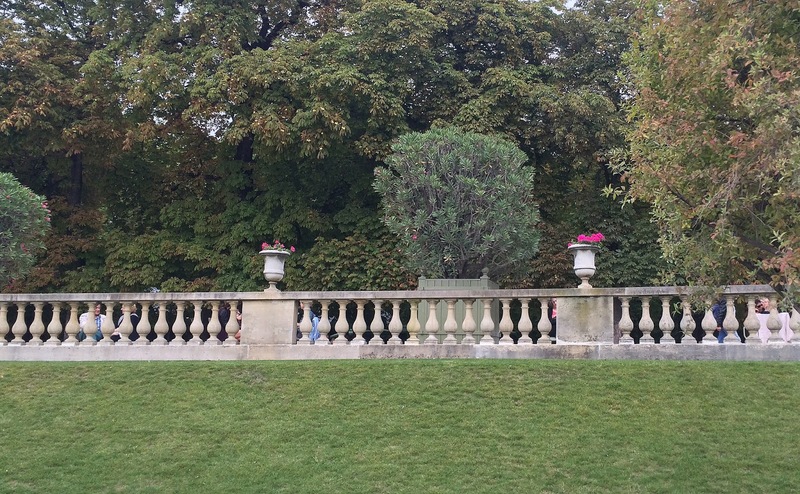 The total height of the entrance/garden wall reaches nearly 12 feet when topped with these hefty five-foot urns. Ted can design these structures for your home or business, formulating the proper height and style to suit your own architectural tastes. This photo illustrates how the height of the garden wall compares in relation to the size of a person. Ted's sense of proportion has been developed over his many years of studying classic architecture. At right, Ted studies the profile and ornate detail of this magnificent ground-mounted urn at Chateau de Vaux le Vicomte outside of Paris. He's always searching for inspiration for his DAC-ART designs, both for the home and garden. 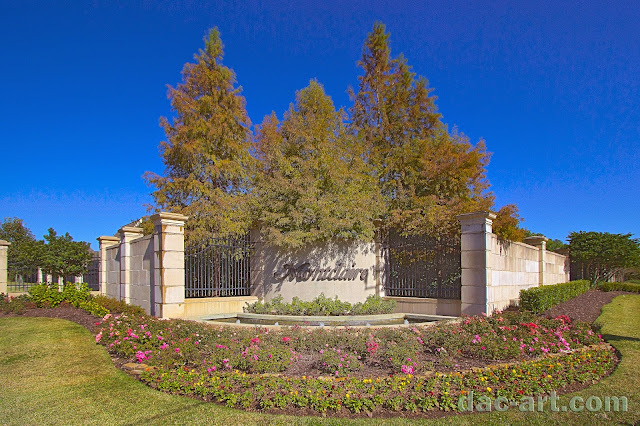 Owners of this Beaumont, Texas, development chose DAC-ART for its entryway, fountains, garden walls and other hardscaping, lending old-world elegance to this relatively new neighborhood. This is one of the massive cornerstones/garden walls flanking the entrance to the neighborhood. 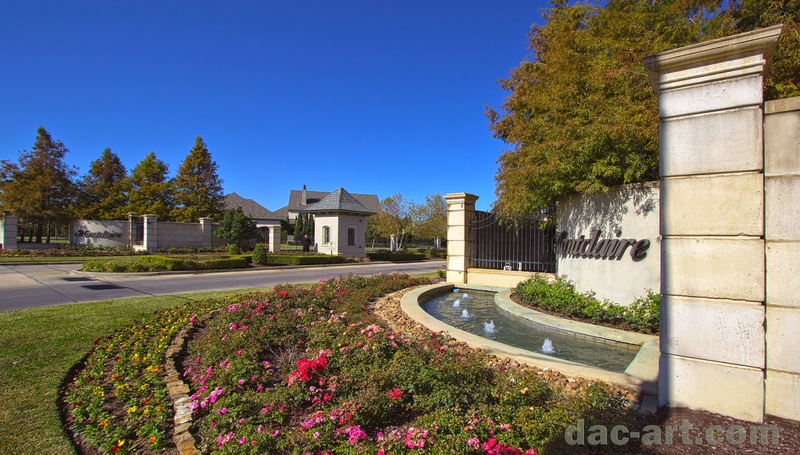 DAC-ART, with its natural limestone finish, blends beautifully with the flowers and shrubs neatly bordering this quiet Texas development specializing in high-end, luxury homes. 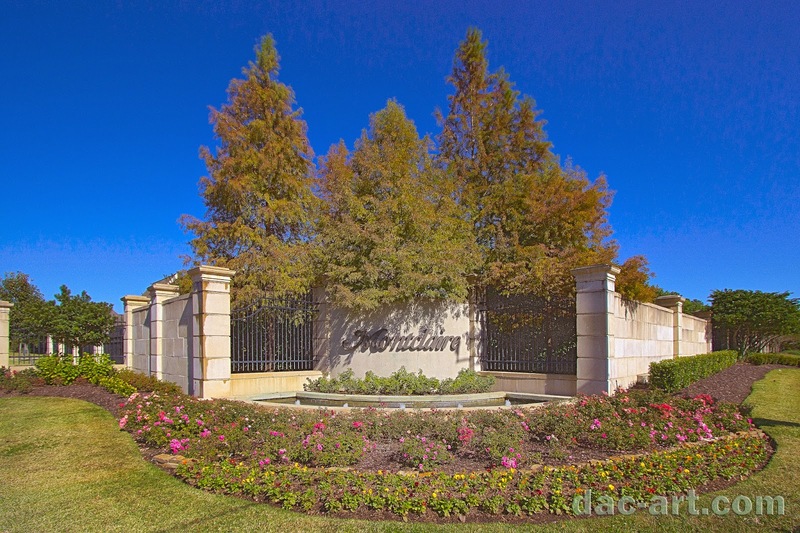 Here, Ted stands outside the extensive garden wall that surrounds this beautifully landscaped, upscale gated community. The Estates of Montclaire post office, located inside the development, illustrates the versatility of DAC-ART. Ted's designs range from garden walls, pavilions, urns and other hardscaping to small structures such as this post office, guesthouses, pool houses and follies, to large commercial buildings and private residences, which scale from more conservative high-end homes to large, multi-million-dollar luxury estates. This small DAC-ART post office also blends nicely with Montclaire's landscaping. 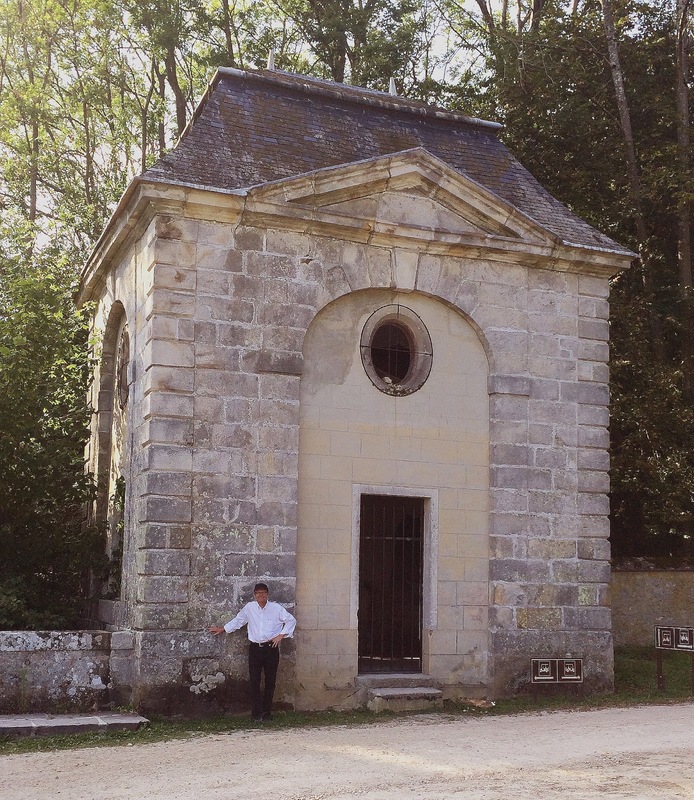 Above, left, Ted stands near one of the guard houses flanking the gated rear entrance to Montclaire. This pavilion is one of four DAC-ART structures accompanying the owner's main house located in Napa's magnificent wine country. The natural limestone finish of these California DAC-ART structures blends beautifully with this pastoral part of the country in addition to offering the best protection against earthquakes that threaten the region. This is one of Ted's designs. This quaint DAC-ART stone cottage/guest house, adjacent to the pavilion above, looks as though it has lived among the lavender and surrounding vineyards for hundreds of years. Indeed, it will be around for many generations with little to no maintenance. The main house, also DAC-ART, is currently under construction. 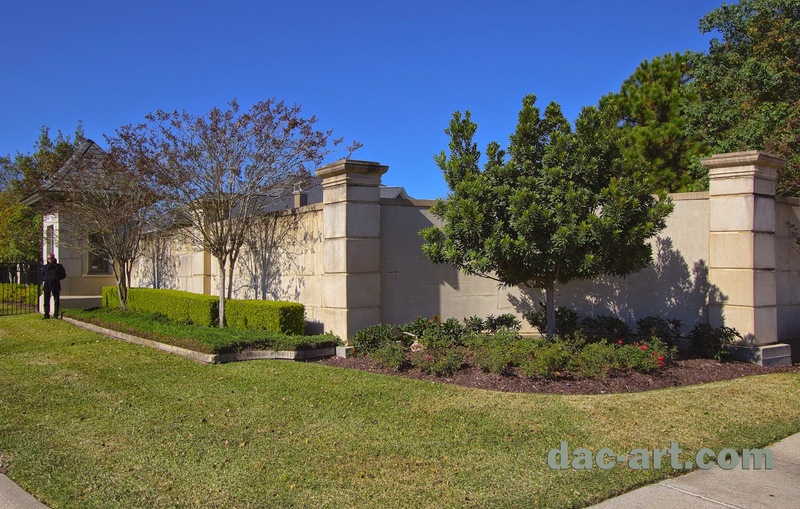 The homeowner chose to build the outlying DAC-ART structures first. They are all Ted's designs. A view inside the Napa Valley DAC-ART pavilion during an early stage of the project. A DAC-ART garden wall in the courtyard of the historic, Italian-inspired Bottega Favorita building in Birmingham, Ala., now home to Bottega's restaurant, is the perfect complement to this city landmark. The photo is courtesy of my Birmingham friend, Michael Anderson. Thanks, Michael. 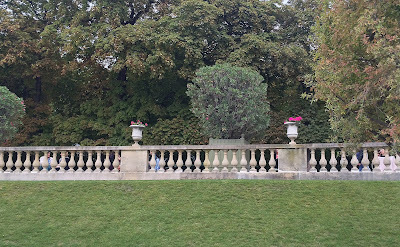 Limestone balustrades skirting garden terraces such as this one are commonplace in Paris. The same Paris-inspired balustrade and terrace can easily be reproduced in DAC-ART and will stand the test of time just as well. Ted Dial's DAC-ART balustrade design recalls classic European form. This DAC-ART homeowner chose to close the space between balusters to protect their small dogs. This courtyard overhangs a steep bluff on Red Mountain in Birmingham, Ala. This beautiful shot is also courtesy of photographer Michael Anderson. 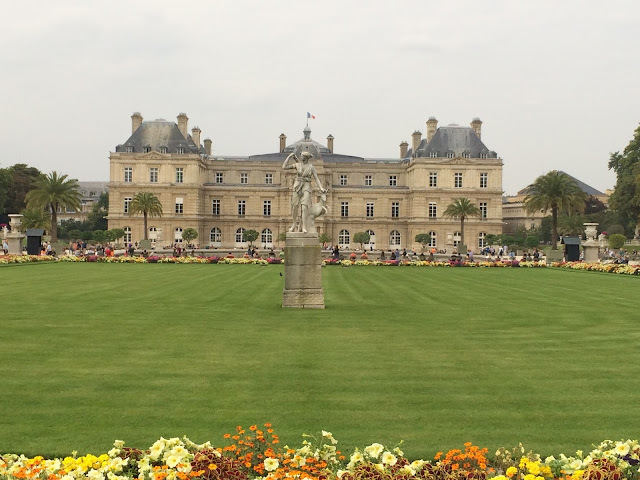 I'll close this post on garden walls and hardscapes with some more images of Paris. Learn more about DAC-ART concrete stone and Ted Dial's design services, visit www.dac-art.com and take a look at my past blog posts. 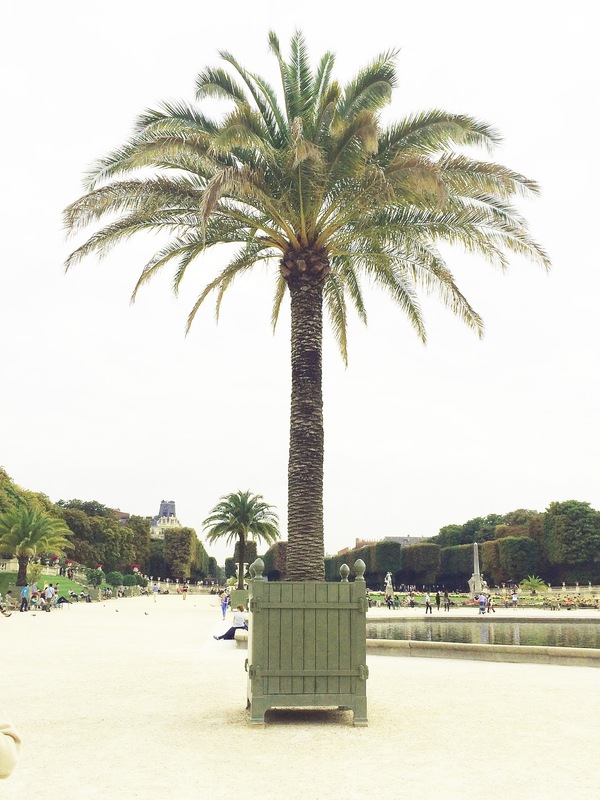 Similar palm tree planters can be replicated in DAC-ART. 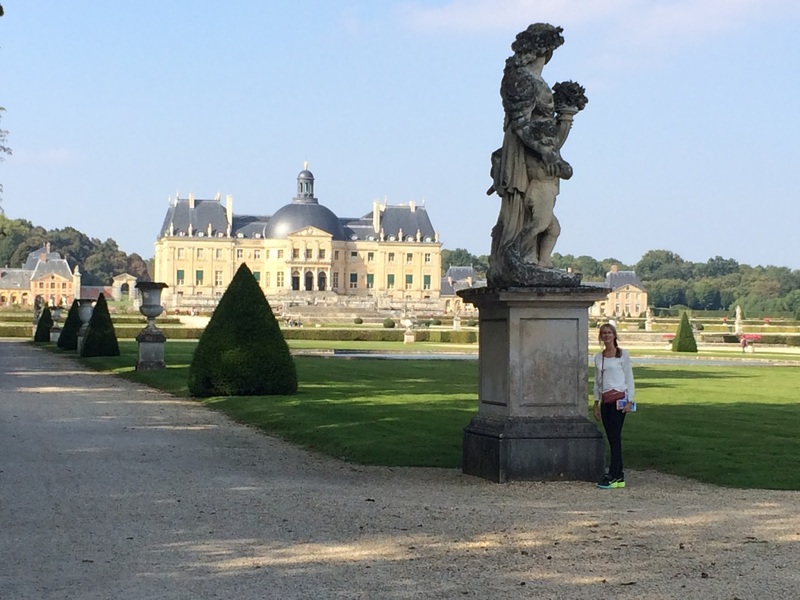 A modest limestone building on the outskirts of Chateau de Vaux le Vicomte's vast gardens provides Ted with some inspiration for future DAC-ART home designs--ones on a smaller scale. Every DAC-ART client is unique in terms of project size and design tastes. Ted stands near a garden herm, one of many unique stone features that add interest to the grounds of Chateau de Vaux le Vicomte. 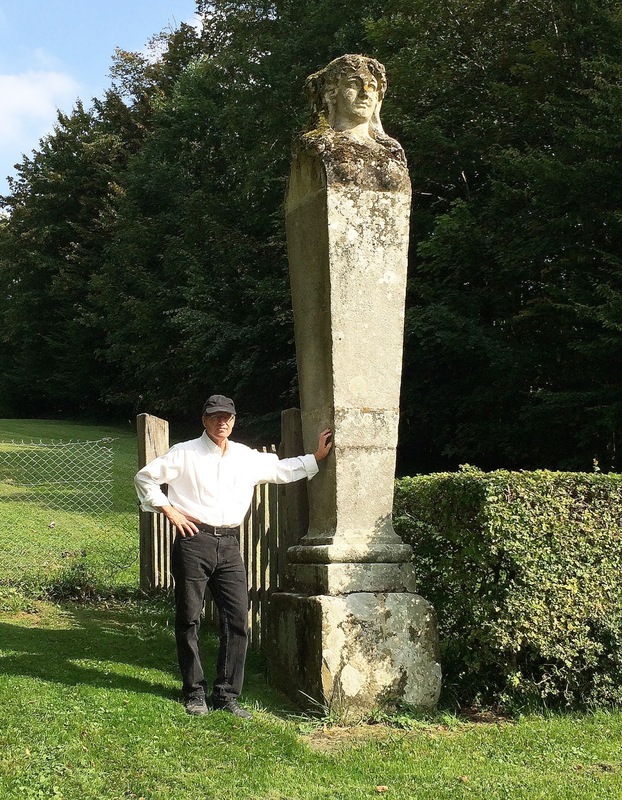 Ted, also an accomplished sculptor, is always looking for new ways to combine art and architecture with his DAC-ART designs for the home and garden. At the left is another example of a herm...this one doubles as a fountain. A similar design could also work in DAC-ART. In Paris, botanical hardscapes are as abundant and varied as the gardens themselves. These sculpted "book" benches in a children's park outside a school in Paris are fantastic. 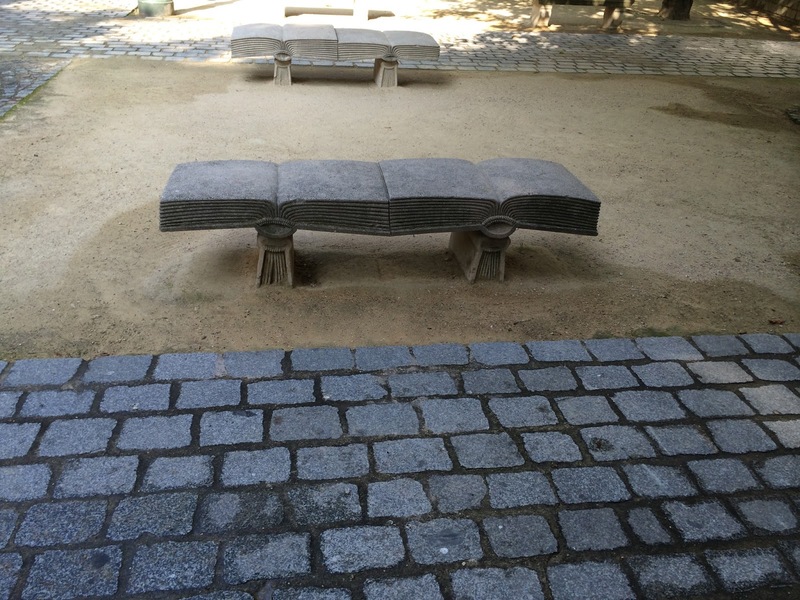 Gardens and parks should inspire playfulness and creativity. I hope my blog has inspired you to spend a little time in your garden or perhaps explore some extraordinary ones. 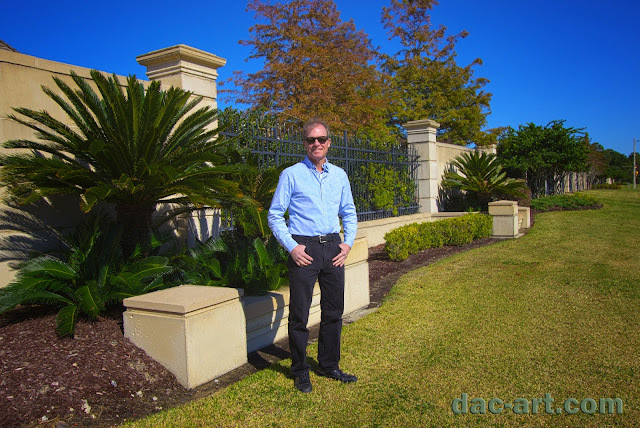 If you think DAC-ART garden walls and hardscapes may be right for you, contact Ted Dial at dacology@me.com. My name is Renee, and I blog once a month about the DAC-ART Building System and its creator, Ted Dial, who has resurrected the lost art of solid masonry architecture through his unique custom home designs and novel “concrete” stone building method. 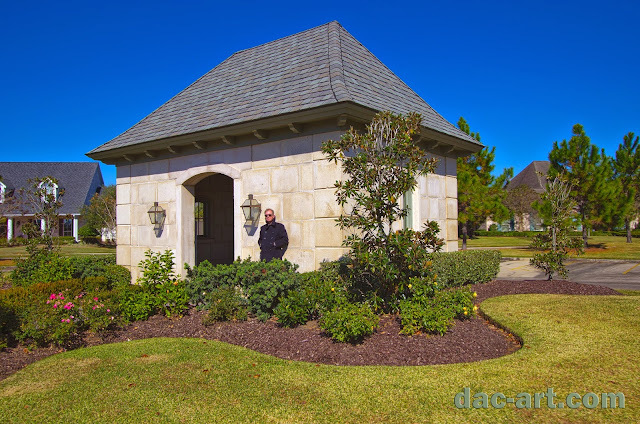 DAC-ART offers the charm of "old-world" solid stone masonry, requires no maintenance, and provides the best protection against extreme weather conditions and natural disasters such as hurricanes, tornadoes, earthquakes and fire.